What is the above excatly? it's a Din Datin Dudero that was built for me by Michigan Synthworks. 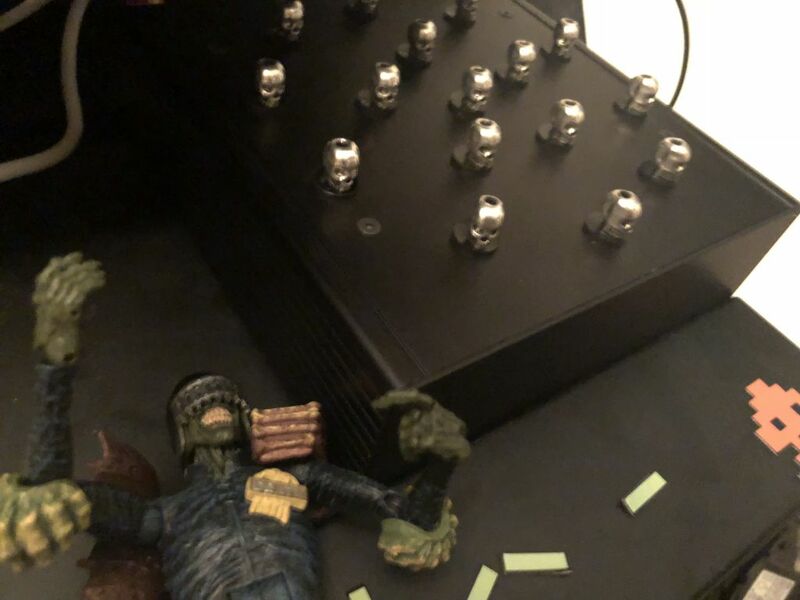 it's encased in a black box and the nodes are all skulls with red leds on top.